Российский Императорский Дом Романовых. Великие княжны Ольга, Татьяна, Мария и Анастасия. Дочери Императора Николая II и Императрицы Александры Фёдоровны. 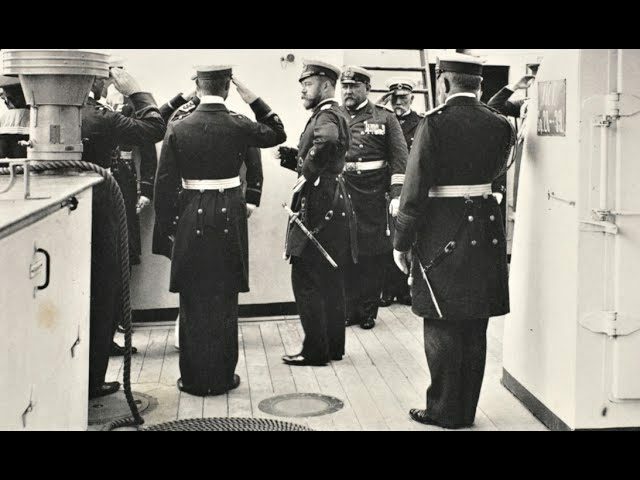 Фотография 1905 года. Хранение: ГАРФ. 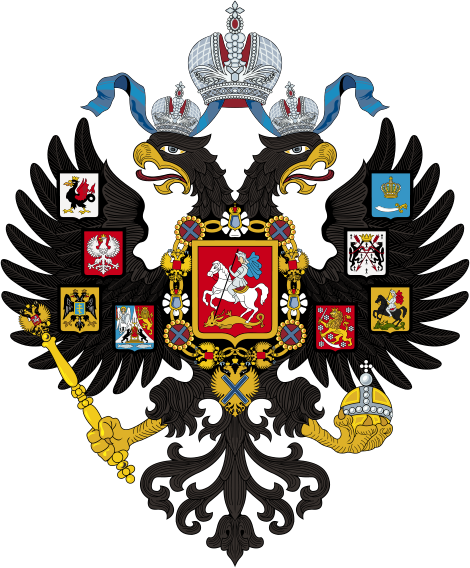 The Russian Imperial House of the Romanovs. 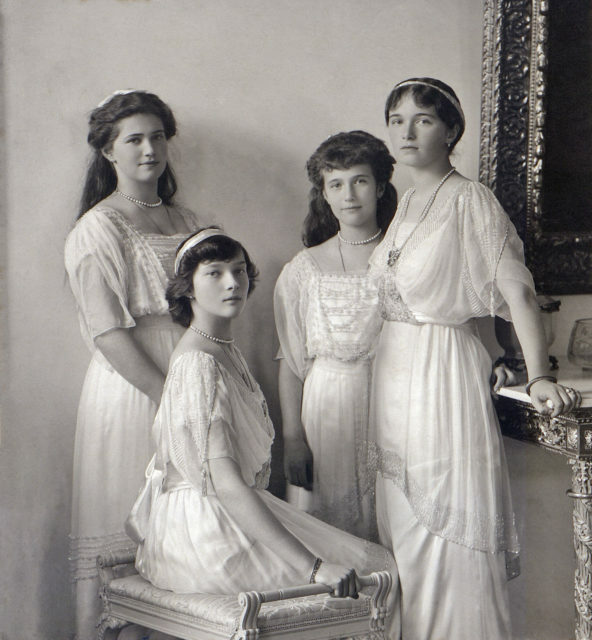 The Grand Duchesses Olga, Tatiana, Maria and Anastasia. 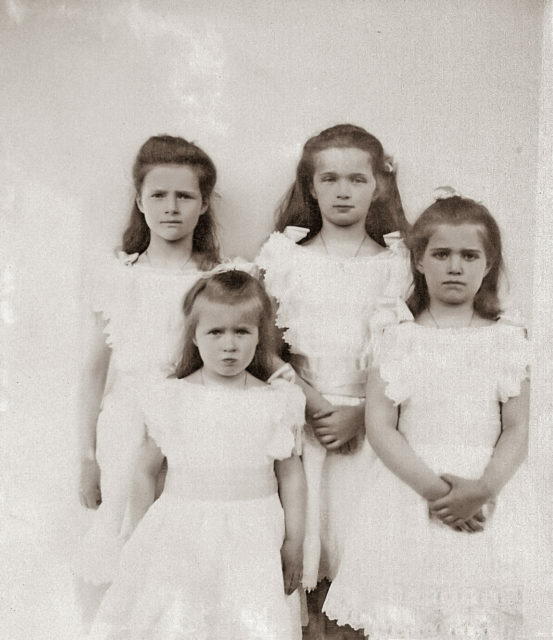 Daughters of Emperor Nicholas II and Empress Alexandra Feodorovna. Photo of 1905. Storage: State Archives of the Russian Federation. 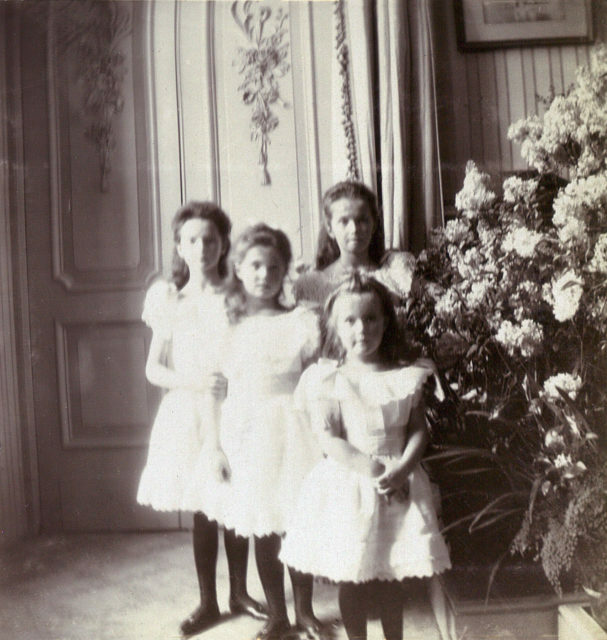 The Grand Duchesses Olga, Tatiana, Maria and Anastasia. 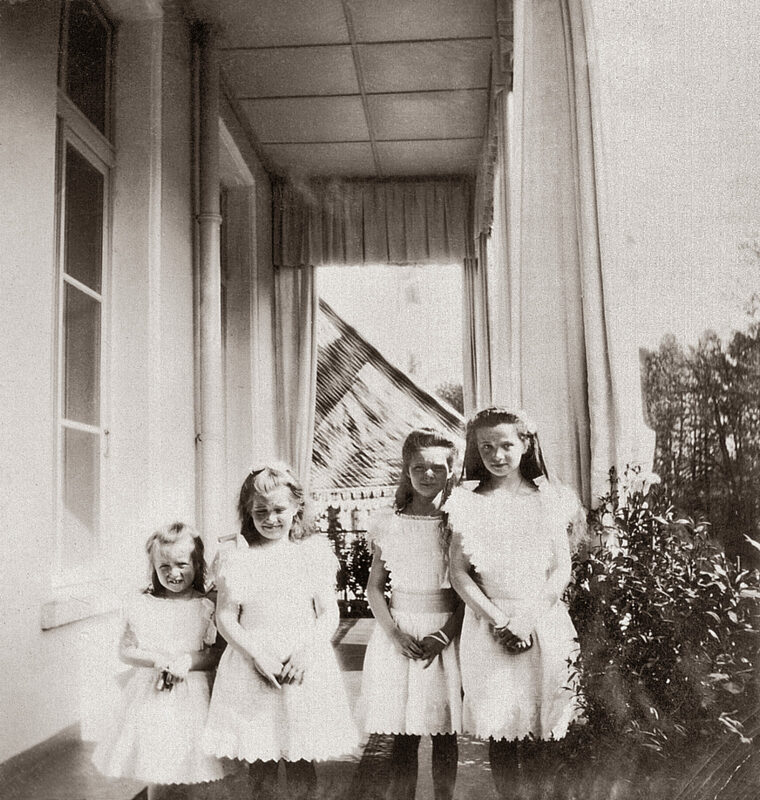 Daughters of Emperor Nicholas II and Empress Alexandra Feodorovna. 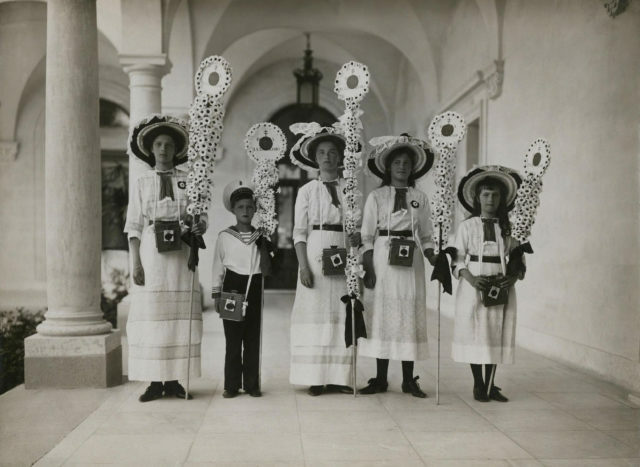 Photo of 1914. 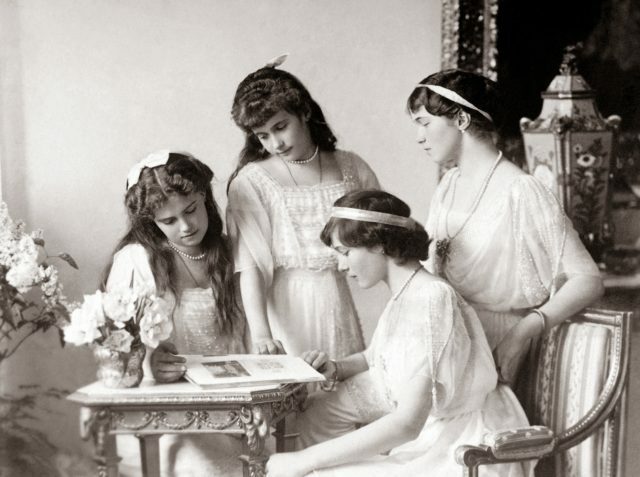 The Grand Duchesses Olga, Tatiana, Maria and Anastasia. 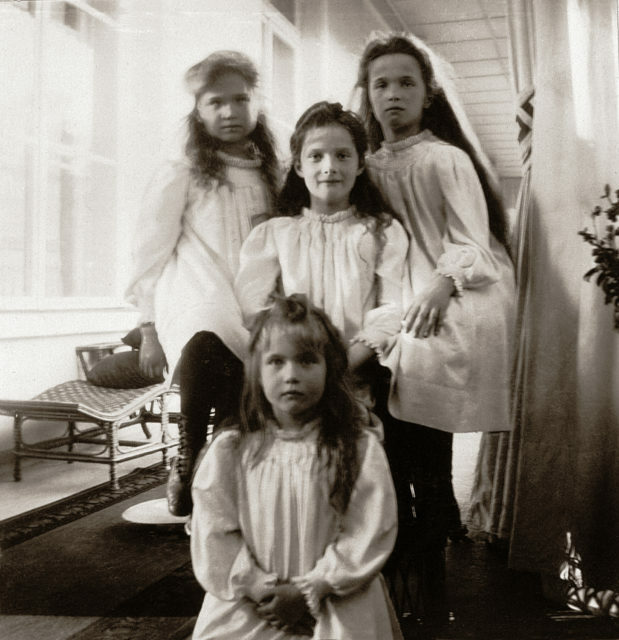 Daughters of Emperor Nicholas II and Empress Alexandra Feodorovna. Photo of 1905-1906. 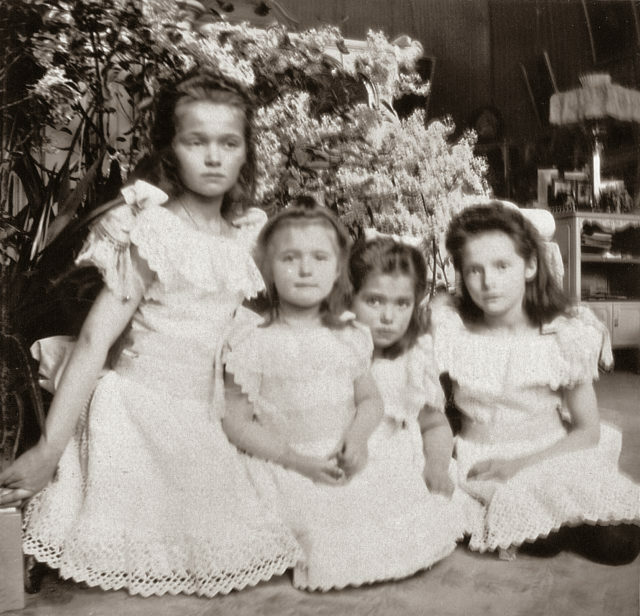 The Tsarevich Alexei and Grand Princesses Olga, Tatiana, Maria and Anastasia. 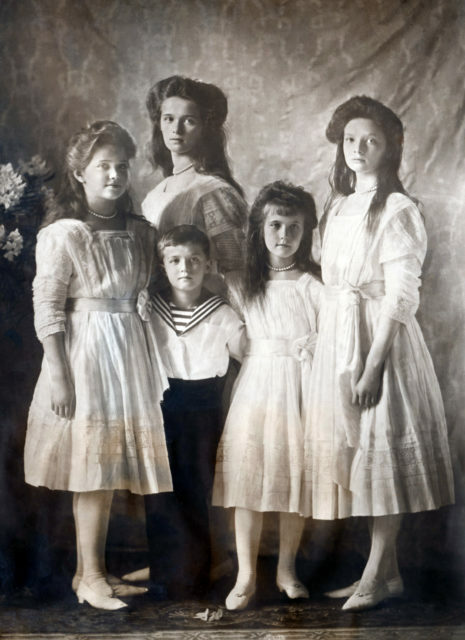 Children of Emperor Nicholas II and Empress Alexandra Feodorovna. Photo of 1910. 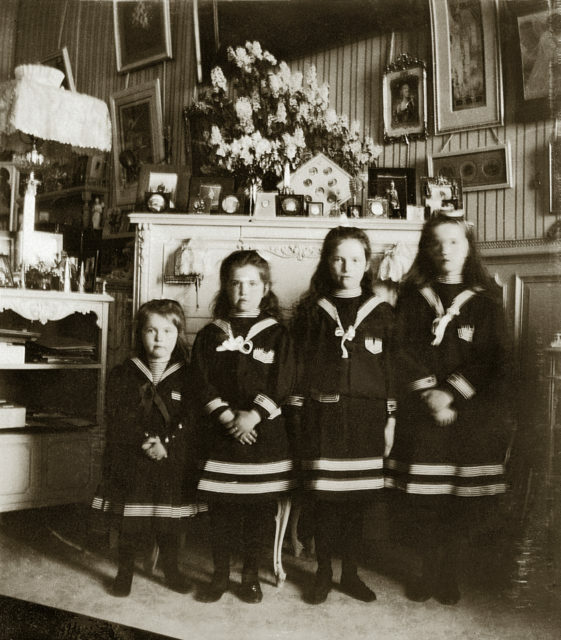 The Tsarevich Alexei and Grand Duchesses Olga, Tatiana, Maria and Anastasia aboard the Imperial yacht Standart. June 1908.